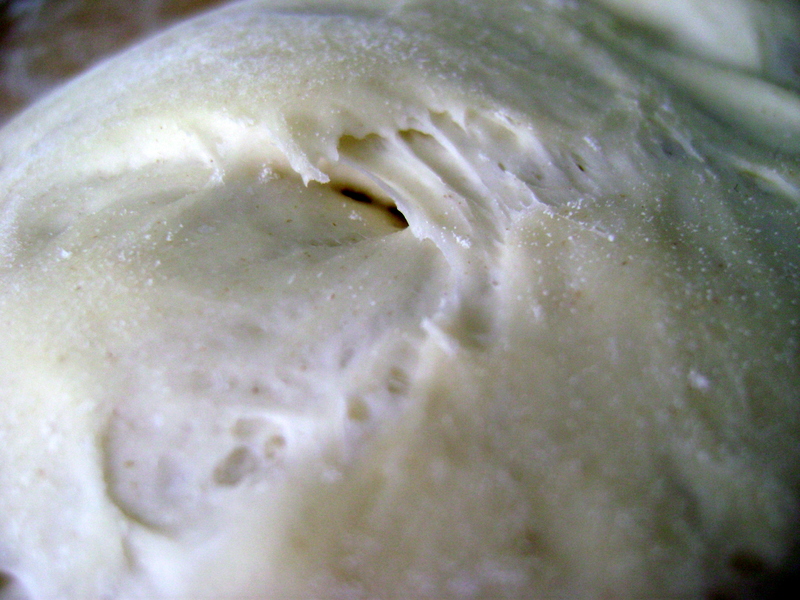 Since we have already gone over how to make your own loaf here on the ol’ blog, I’ll start you off after the mixing, kneading and first rise has been accomplished. Which brings us to… right about, here. 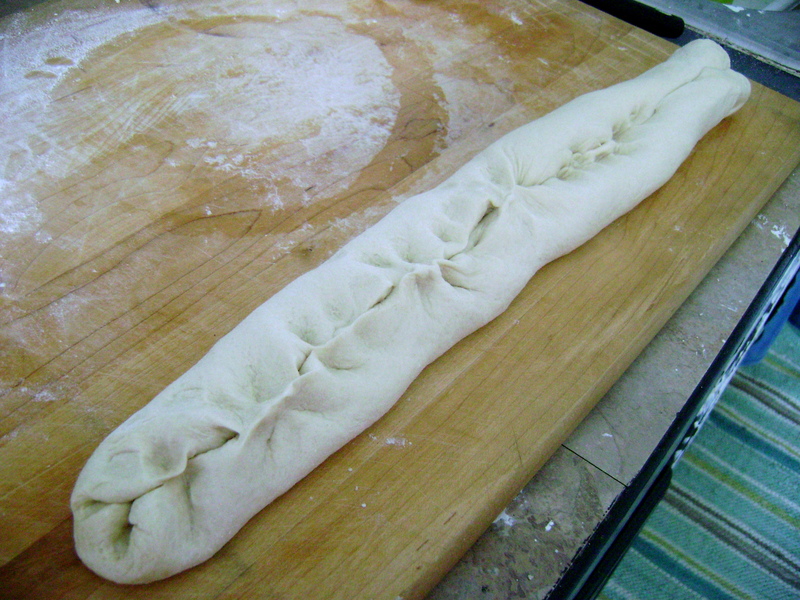 After the first rise, turn your bread out onto a lightly floured surface, punch it down gently and form it into a long snake, baguette-like. Find the middle, fold the ends up and in so it resembles a heart. 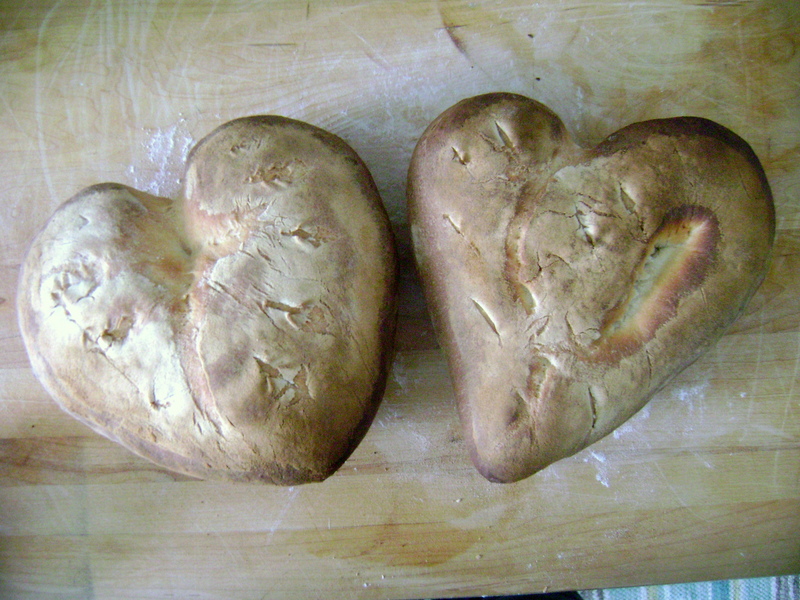 I made two loaves, one I rolled the edges up and in, and the other Iexperimented with folding and twisting. Do whatever works for you! I used a mug’s handle to help the top dip on the heart stay in place with one. The other I let rise free form to see what would happen. 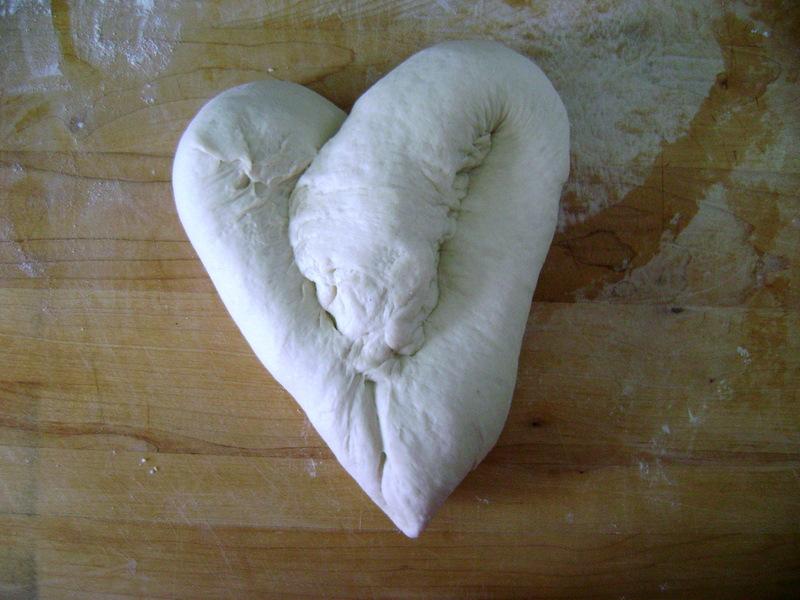 Give a little pinch along any edge where the dough meets to secure it. Cover it with a tea towel and let it rise again. 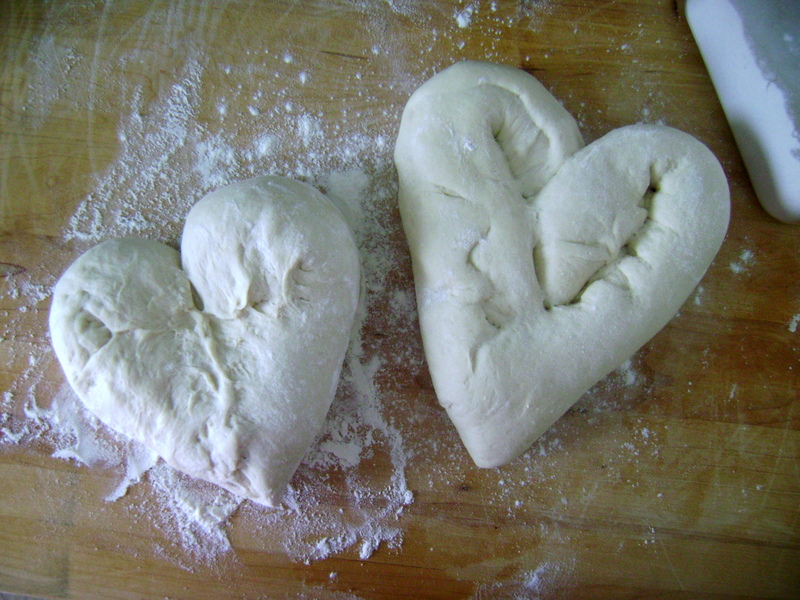 Ready to bake! 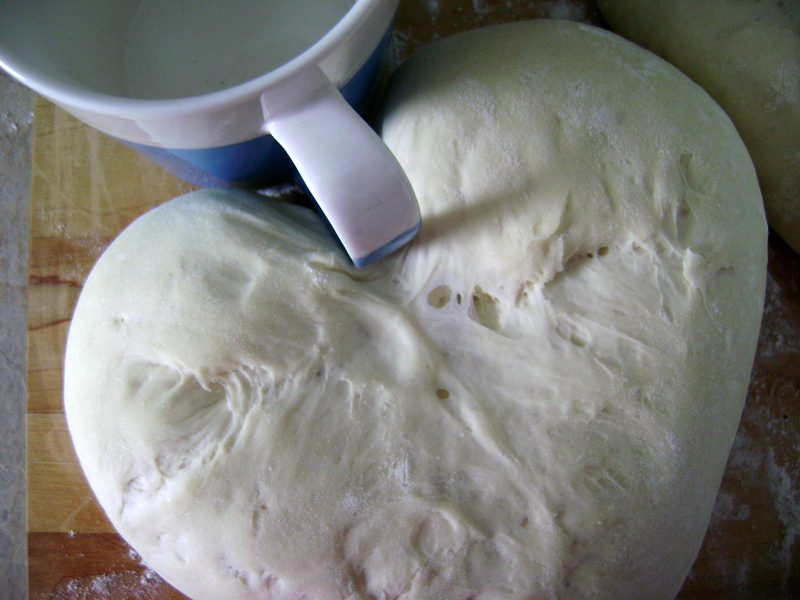 Make sure your oven has pre-heated sufficently and that your baking stone has had time to get really hot. I was fresh out of cornmeal so i just added a little extra flour to my loaves. 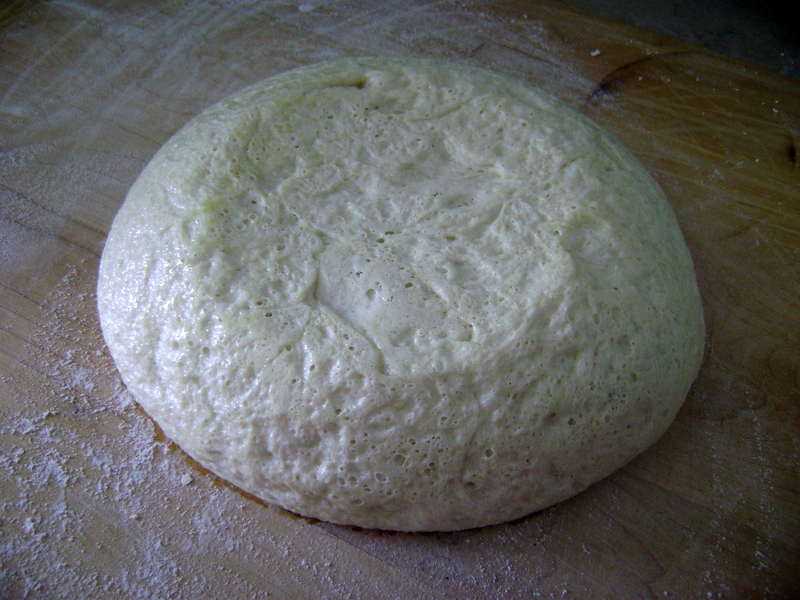 I love how the dough looks after its risen. It gets soft and puffy and you can see the elasticity of it all. And there you have it! They held their shapes remarkably well and they were a big delicious hit!